Don’t we all wish to have a flawless and uniform complexion? A foundation does the job of creating an even base while it covers all your flaws. The beauty of MAC foundations is that they’re high-quality products sold in a diverse array of shades and textures. Also, when compared to most high-end brands, MAC is relatively more affordable. 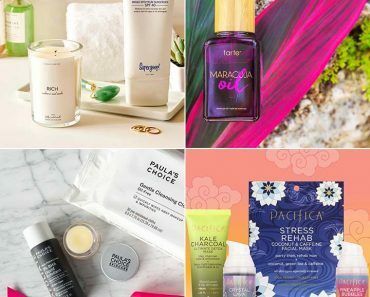 With a bazillion choices of foundation out in the market, it gets difficult to pick something that works for you. 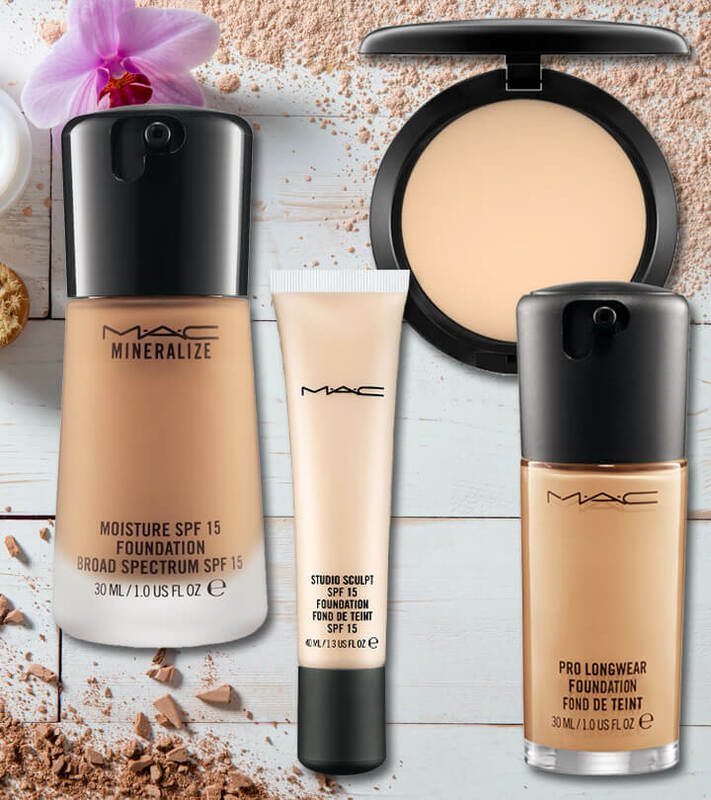 We’ve put together a list of the best MAC foundations to help you choose your purchases wisely and for you to get the best results out of a foundation. Let’s dive right into our list. This powder plus foundation is a one-step tool that gives you a smooth, all-matte and flawless, full-coverage finish. It’s long-wearing and allows your skin to breathe due to its lightweight, velvety texture.This compact comes in over 40 different shades for every skin tone. Besides being a little pricey, there’s nothing else to it. However, it’s worth every penny. If you are someone who likes to stick to powder foundations that are simple and quick to use and you’re not too keen on using a liquid foundation then this is a godsend product for you. The coverage is buildable and the texture is velvety. It’s excellent for cover-ups throughout the day (although you won’t need too many). 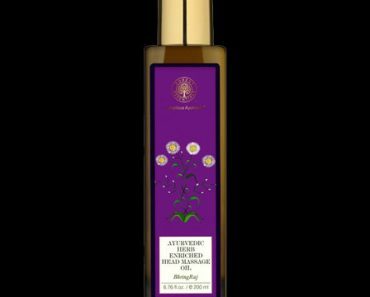 If you have oily or combination skin, this takes care of all the excess oil on your face and gives you a lovely sheer matte finish. It’s also great to wear during the day. 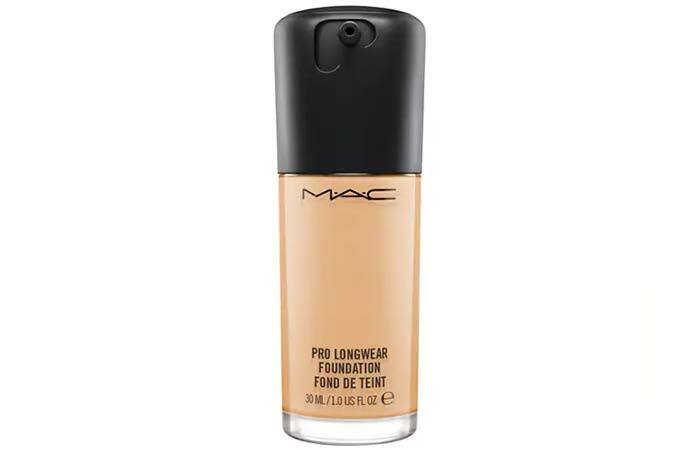 MAC claims that this Pro Long-wear foundation gives you up to 15 hours of wear in any environmental condition. It’s comfortable and long-wearing and allows your skin to breathe all day while it controls oil. It also consists of specially treated micronized pigments to help you achieve an even flawless, smoother and a natural matte finish.There are over 16 shades to choose from. The MAC Pro Longwear foundation is indeed long-wearing as per its claims. It looked just as fresh even after a long 12-hour day. It gives your skin a beautiful, natural finish. The coverage is buildable, and it’s great for regular use as it’s quite lightweight and does not clog pores. 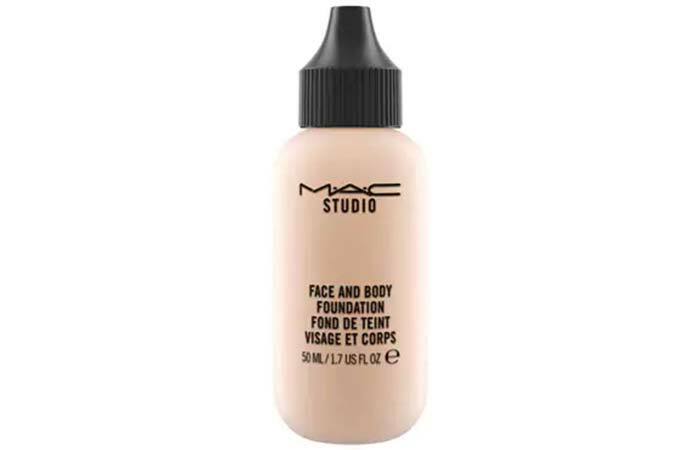 Coming to the texture, this liquid foundation is just the right amount of creamy. It does not transfer and stays on all day long. If you have acne prone skin and need to cover blemishes, this does a brilliant job. This foundation is an oil-controlling formula, and it offers a matte-finish with medium to full coverage. It also comes with broad spectrum UVA/UVB SPF 15/PA++ protection and helps you minimize the appearance of pores and imperfection giving you a smoother, more flawless finish.Available in over 30+ shades. Although this foundation works for all skin types, it works exceptionally well for oily and combination skin types giving you a superb matte finish which looks so natural. The coverage ranges between medium to full and is buildable. It also contains sun protection and an SPF of 15. It just glides onto your skin and blends in beautifully. It’s also sweat and humidity resistant. One of the finest foundations by MAC! This mineralize foundation is designed to give you a satin finish which makes your skin appear refined, refreshed and lit from within. It comes in a combination of powders in cream-gel emulsion formula that creates an optical blurring effect – virtually diminishing imperfections and fine lines for an even tone. It also features MAC’s 77 mineral complex, vitamin E and shea butter. It’s available in 18 shades. 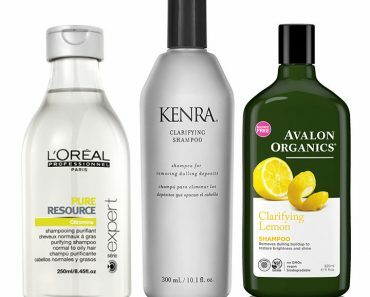 If you have really dry or sensitive skin – this is your holy grail! This is one of those foundations that can be worn on a daily basis especially because it’s lightweight and the finish is nice and dewy. It also lasts all day long, and you look perfectly put together without it smearing or oxidizing. It’s also one of the best foundations for women who are over 40 as it covers fine lines and wrinkles so effectively. This ultra balmy fluid is infused with nourishing ingredients and opalescent microspheres for a youthful glow that appears lit from within. This can be used by itself or under/over foundation. 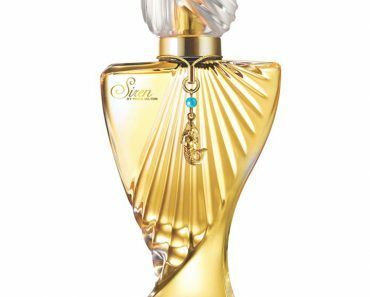 It brings out skin’s luminosity for sheer, balmy perfection. It has a shade range of around 8 colors. 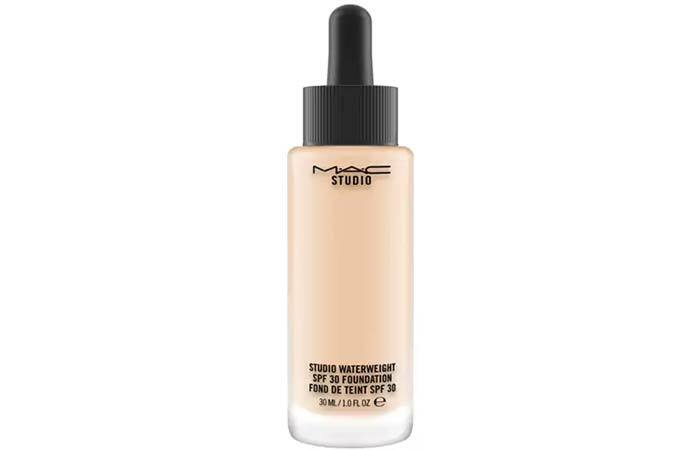 If you are just starting out with foundation and want a simple sheer formula, then go for this one as it’s a brilliant product. It does what it claims. It lasts all day long even without a primer on. It does a good job at blurring out pores and evening out your skin tone. It makes your skin look healthy and radiant with a nice soft effect. For best results, you can apply this foundation with a damp sponge (beauty blender), and it will give you that perfect dewy glow. Also, it works for all skin types! But we felt it’s a little expensive for what it does and the coverage it provides – it isn’t anything exceptional for $31. This foundation delivers color in an ultra-fluid, thin, elastic gel-serum formula. The hydrating formula contains a moisture-fusion complex and it protects your skin with an SPF 30. It offers all-day wear and sheer to medium coverage. Available in an array of 23 shades. If you were on the lookout for an alternative to the heavier coverage foundations – this serum foundation is for you. It is extremely lightweight while it provides broad spectrum sun protection. 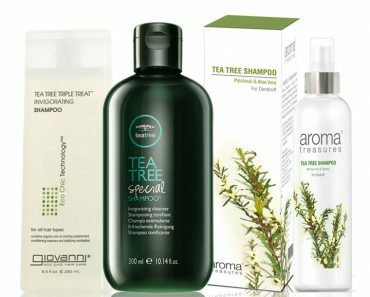 It also contains beneficial antioxidants and reparative ingredients. It comes in a glass bottle with a dropper applicator, and you only need a tiny amount to cover your entire face. It blends in beautifully with a sponge giving you a satin finish that is neither matte nor moisturizing – just somewhere in the middle. The Studio Tech is a tri-system blend of water, emollients, and water that glides on as a soft, creamy emulsion. This innovative formula provides a full range of coverage and gives you that natural powder-perfect finish. It also helps to soften lines and create a flawless texture for every skin type. Over 27 different shades available. 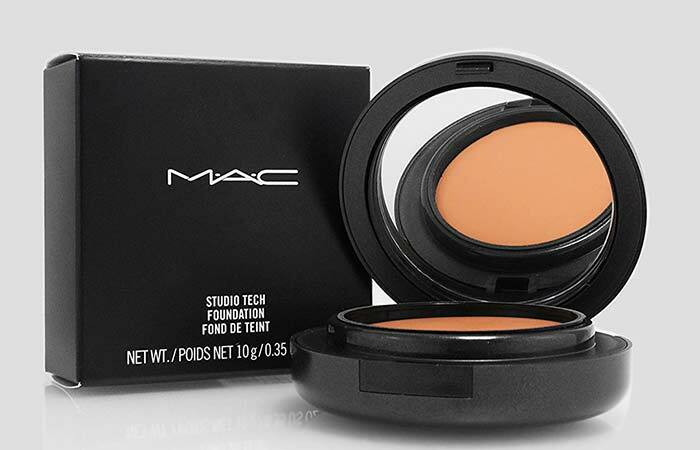 The MAC Studio Tech foundation comes in a compact package, and its consistency is thick and creamy. It’s one of the best foundations to hide scars. It’s best to use a buffing brush to apply this rather than using the sponge that comes along with the product for best results. It’s also ideal for sensitive skin. You can choose to top it up with some compact powder, and it stays put all day long. This is a gel-based formulation that offers medium to full coverage with a natural satin finish. It provides ultimate hydration and instantly revitalizes dull-looking skin. Its micronized silicone-coated pigments improve skin adherence and blendability. 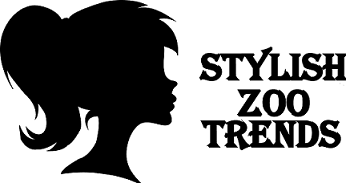 It offers broad spectrum sun protection.Available in 8 shades. 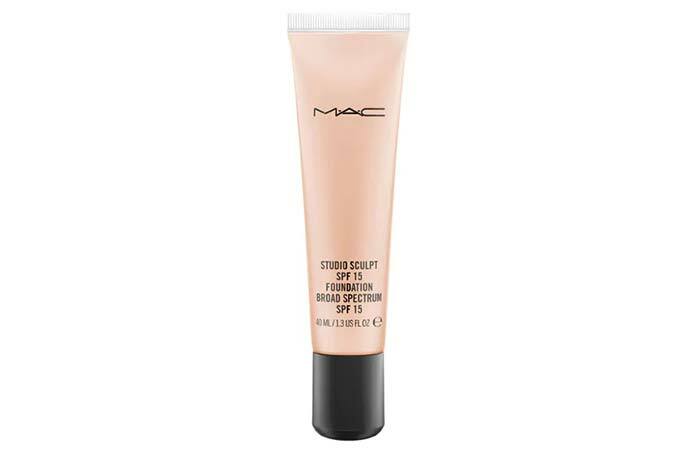 Studio Sculpt by MAC is another one of their gel-based foundations. It’s color-true and has a creamy consistency which gives you a good coverage (not full but somewhere between light to medium). It’s a great product to pull off the “no-makeup” look. It also gives you a sheer glow which looks very natural. Also, a little goes a long way – it feels very lightweight on the skin. Although this is suitable for every skin type, dry skin beauties may find a new favorite in this foundation as it’s quite hydrating. 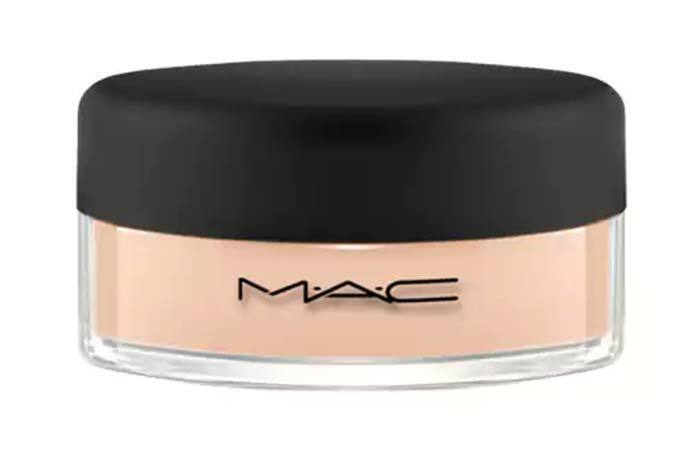 The Face and Body Foundation by MAC is a lightweight foundation, and it delivers sheer coverage with a satin finish. It’s a moisturizing, long-wearing formula and it glides onto your face and body providing stay-true color. 13 different shades available. If you’re looking for something super natural and lightweight, then this foundation is the right choice. I love how easy it is to work with this foundation and the way it just blends in perfectly. It gives your skin a luminous glow, evening out your skin tone and smoothening minor imperfections. It’s a great product for daily wear. It does not accentuate pores, streaks or gets cakey; rather, it stays on perfectly all day long! This formula contains customizable pigments that adjust to your skin tone in a flawless matte finish with medium buildable coverage. It helps reduce shine on the face and absorbs excess oil. It also provides perfect color purity without looking chalky or ashy. Comes with SPF 15 and broad spectrum protection. It comes in 12 different shades. The Matchmaster indeed adapts to your skin and evens it out. It can be worn in any weather condition. It’s lightweight and easy to blend. The coverage is medium to buildable, and the texture is just the right amount of creamy. It does not settle into fine lines rather it blurs them out and helps minimize their appearance. 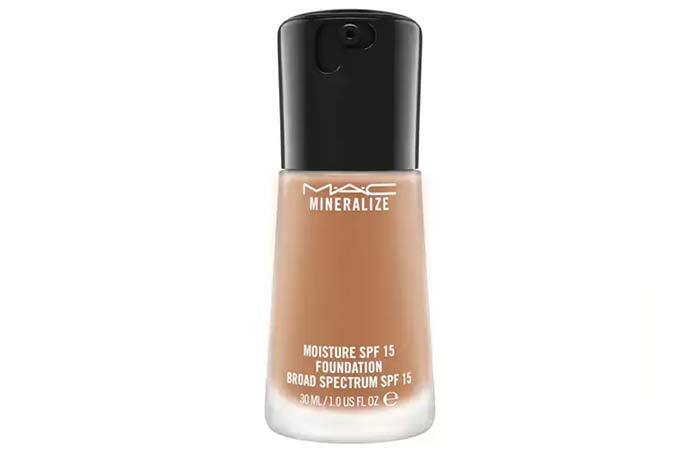 Overall, this is a great foundation with SPF 15 if you are looking for something long-lasting. 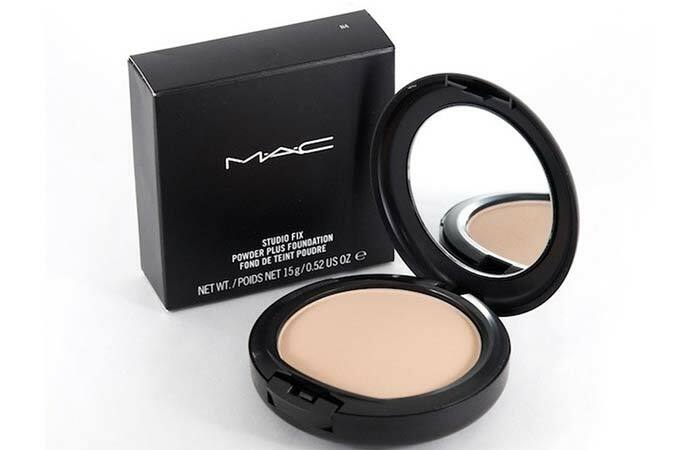 This is a silky, mineral-rich powder foundation that brushes on to deliver medium buildable coverage and a natural look. It helps your skin achieve a smooth, dimensional finish with exceptional luminosity and a velvet-soft finish. This is available in 9 shades. The thing about this foundation is that it is perfect for people with already flawless skin. So if you have blemishes or dark spots, this won’t satisfy your needs. It’s a very sheer coverage product that primarily adds a luminous glow to the skin. It helps control oil. You can use this with a makeup sponge or a brush, and it blends in quite easily. If you don’t want to put on a full face of creamy foundation and want to keep it real basic – get yourselves one of these. But if you are someone who stresses upon coverage – this is not meant for you.